Well, the time has finally come for me to share with all of you my newly painted rec room. We live near Indianapolis, and as you might have guessed, we are fans of our hometown football team. The Colts are front and center with our new Colts Fatheads. We ordered them some time ago knowing that we wanted to make our upstairs rec room a perfect place to hang out, watch football, and play video games. They came perfectly packaged, rolled and protected, in sturdy cardboard tubes. Each came complete with step by step instructions on how to apply them to the walls. I was impressed at how easy they were to position and reposition. Don’t worry, the largest pieces come in two parts for ease of application. The two parts match perfectly and look awesome on the wall. Much to my surprise, the Fatheads came with tons of accessory pieces as well including the player’s name, smaller player pieces, and logos for both the team and the NFL. Fathead carries a huge selection of teams and players from a large variety of sports incuding football, basketball, baseball, hockey, soccer, and more. Fathead also has pieces for nonsports enthusiasts as well. Check out their Marvel, Star Wars, and even Disney Fathead Collections. The Disney designs are spectacular. 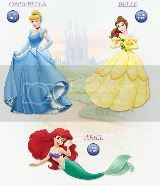 You can get a princess, Hannah Montana or even your favorite character from Cars. Fathead also has new Fathead Tradeables for those of us who can’t decide on a favorite NFL player or team. Measuring approximately 5×7, these are perfect for kids to use in decorating lockers, binders, doors, and mirrors. They come in variety packs with 5 tradeables. Each pack includes 1 team helmet, 1-2 authentic player Fatheads, 2-3 game time action Fatheads, and a secret code to unlock prizes, games and more. Peel ’em! Stick ’em! Collect ’em! Trade ’em! Fathead has what you need to make a statment. If you have a sports room, rec room, child’s room, or play area that needs to be impressive, consider a Fathead for your decor. I get tons of compliments on ours!